1. Find a number which exceeds the aggregate of its 72, 81 and 108 parts by 8750/27. Then its respective 72, 81 and 108 parts are X/72, X/81 and X/108. The aggregate of 72, 81 and 108 parts = X/72 + X/81 + X/108. Given, X exceeds X/72 + X/81 + X/108 by 8750/27. Hence the required number is 336. 2. If a number is much greater than the sum of its 12th and 8th parts as is less than 258. Then what will be the number? Hence the number is 144. 3. Sum of 4-times of a number and 5 times of the aggregate of its 12th, 3rd and 10th part is 387 more than thrice of the number. Then find the number. Sum of 4-times of a number and 5 times of the aggregate of its 12th, 3rd and 10th parts (4X + 31X/12) which is 387 more than the thrice of X. Hence the answer is 108. 4. A sum of a number and the reciprocal of aggregation of 2nd, 3rd and 4th parts of the number is 1/26 more than the number. Find the number. Hence the required number is 24. 5. Two trains are travelling at 25 kmph, starting at the same time from city 1 and city 2 respectively which are 75 km apart. There is a bee, which can fly at 50 kmph starts from city1 at the same time the train starts and hits the second train.After hitting the train, takes rest till the trains meet each other. Find the time taken by the fly to rest ? Speed of the two trains = 25 km per hour. Speed of the bee = 50 km per hour. The bee rests until the two trains meet each other. We know that,"Suppose two trains or two objects bodies are moving in opposite directions at u m/s and v m/s, then their relative speed is = (u + v) m/s. and the time taken by them to meet is = the distance travelled by two objects / their relative speed". Then the required time = 75/(50 + 25) = 75/75 hr = 1 hour. Then the required time = 75 /(25 + 25) = 75/50 hr = 3/2 hr = 1 and half hour. Therefore the required difference = (3/2 - 1)hr = 1/2 hr = 30 minutes. Hence the bee rests for 30 minutes. 6. Two buses are travelling at 36 kmph and are 120 km apart. There is a fly in one bus which starts to fly at 40 kmph when the bus is started. It flies between two buses until the buses meet each other. Find the distance travelled by the fly. From the given question, we can know that the required distance (total distance travelled by the fly at 40kmph) is the distance travelled by the fly in the time period before the two buses meet. Time to meet = 120 / 72 hours = 10 / 6 hours = 5 / 3 hours. And the time period it flies = 5/3 hours. Hence the required distance is 66.6 km. 7. Two buses are travelling at 36kmph and are 120 km apart. There is a fly in one bus which starts to fly at 72kmph when the bus is started.It hits the second bus and starts flying between two buses until the buses meet each other.Find the distance travelled by the fly after hitting the second bus is. Here, the distance travelled by the fly after hitting the second bus = the distance travelled by n hours (where n is the difference between the time taken by the fly to hit the 2nd bus and the time taken by the two buses to meet). Time to meet = 120/72 hours = 10/6 hours = 5/3 hours. The required time difference(n) = 5/3 - 10/9 = 5/9 hour. We have 5 different values 2, 3, 6, 7 and 8. That is, the number of 'permutations'. For the 1st digit we can choose any of the 5 numbers, for the 2nd digit we have 4 numbers to choose from, for the 3rd digit we have 3 choices, then 2 for the 4th digit, and 1 for the 5th digit. The total unique arrangement is then: 5 x 4 x 3 x 2 x 1 = 5! = 120 different 5-digit numbers. Out of these 120, our 5 possible values will each appear an equal number of times in the units place, tens place, hundreds place, etc. Therefore,120/5 = 24, so there will be 24 numbers starting with 2, and 24 starting with 3 and so on. So we know each of our 5 values will appear in each position 24 times. Hence the answer is 6933264. Here , we have 4 different values 1,2,3 and 4. Given that 2 and 1 always comes together in required 4-digit numbers. Now we have 3 values to arrange and they are (21), 3 and 4. And 12/3 = 4, So there will be 4 numbers starting with 4 and 4 numbers starting with 3 and 2 numbers starting with 2 and 2 numbers starting with 1. Therefore, the required sum value must be greater than 34000. Hence the answer is option a. 10. Find the sum of the 4 digit numbers which are the multiples of 5 and are formed by using the digits 5, 3, 2 and 6. Here, we have 4 different values 2,3,5 and 6. A multiple of 5 will end with 5 or 0. Here the numbers that end with 5 are 2365, 2635, 6325, 6235, 3625 and 3265. 11. Find the product of distinct prime factors of 34476.
a) 1321 b) 1326 c)34476 d)2873. 1. Find the lowest prime number that divides exactly. 2. Check if the result of division is prime. 3. If not, find the next lowest. 4. Repeat the step 2. Here, we have to find the prime factors of 34476. Apply the above method, we get 34476 = 2 x 2 x 3 x 13 x 13 x 17. Required product = 17 x 13 x 3 x 2 = 1326. Given that, N is a prime number we have to find 12N-7. 8N is less than 160 and greater than 72 can be expressed as 72 < 8N < 160. 108 < 12N < 240. Therefore, 12N-7 lies between 101 and 233. From the given options, 197 is less than 233 and greater than 101. Hence, the answer is 197. 13. What is the first prime number that enters in the series 12, 21, 30,... ? a) 67 b) 73 c) 83 d) cannot be determined. Answer : d) cannot be determined. Here the difference of successive terms is 9. Therefore, the series is an A.P with a = 12 and d = 9. Therefore, every term of the series is a multiple of 3. i.e., composite number and none of these is a prime number. Note that, if a and d are not co-prime then none of the terms in the A.P series is prime and if a and d are co-prime then there are infinite primes. 14. A man saves Rs.16,500 in 10 years. If he increases savings amount every year by Rs.100 then what will be his savings amount during the first year ? Let X be the amount saved in 1st year. Now, X, X+100, X+200,... which is an arithmetic progression with a = X, d = 100 and n = 100. Hence, he saves Rs.1200 in first year. 15. In every hour, a wall clock makes a beep as many as the time it shows. Find how many beeps the clock will make in a day ? The wall clock makes 1 beep when it shows time 1. It makes 2 beeps when it shows time 2. Similarly, it makes 12 beeps when the time is 12. That is, it makes 78 beeps in 12 hours. Since a day has 24 hours, then the required number of beeps = 2 x 78 = 156. 16. Sunil parents gave him Rs.50 in the first month and asked him to save that. In the second month they repeated with Rs.55, then with Rs.60 in the third month and so on. This continued for 10 long years. Every year he gave certain amount from his savings to his parents for his expenses. The amount was increased by 10% every year. At the end of 5 years, only Rs.5069.40 was remaining. Find the amount he gave for his expenses during the first year. First, we have to find the total savings amount of 10 years. (120 months). His parents gave Rs. 50 in first month and increase the amount by Rs.5 for successive months. The above series is an arithmetic progression. Therefore, total savings amount is Rs.41700. Let X be the amount given by him in 1st year. That is, X, 11X/10, 121X/100,.. which is a geometric progression with first term X and r = 11/10 and n = 5. Hence, he gives Rs.6000 for his expenses in first year. 17. Find the actual profit percentage of a milk vendor, if he sells milk using a faulty measure which reads 750 ml as 1000 ml. Profit made by the vendor is 1000 - 750 = 250 ml. 18. A seller sold 2 items at Rs.23998.80 each, such that one is sold at a profit of 40% and another one at a loss of 40%. Then what is the net loss? 19. Two salesmen sales their item for Rs.8000 each. One salesmen calculates his profit % on his Cost price and another calculates his Profit % on selling price. If both claim to have a profit of 30% then what is the difference in their profit amount? 20. Four friends Mr.A, Mr.B, Mr.C and Mr.D are walking in a park. On the way, they have to cross a narrow bridge in which only two person can cross at a time. They walk at different speed and can cross at 12, 24, 21 and 5 minutes respectively. Find the minimum time taken by them to cross the narrow bridge. Given that only two person can cross the bridge at a time. We have to find the minimum time taken by them. Let C and B be allowed to cross the bridge first. Time taken by C and B to cross the bridge is 21 and 24 minutes. At 21st minute C could reach the other side of the bridge and B has 3 minutes more to cross. Next A is allowed to cross the bridge and the time taken by him to cross is 12 minutes. In the fist 3 minutes of A, B would have reach the other side of the bridge and A has 9 minutes more to cross the bridge. Meanwhile D is allowed to cross and time taken by him is 5 minutes. In the 5th minute D would have reach the end but A has 4 minutes more to reach the end. Total time taken by them to cross = 21 + 3 + 5 + 4 = 33 minutes. Hence the minimum time taken by them to cross the bridge is 33 minutes. Given that, P, Q, R, S, T, U and V can cross a rope bridge in 22, 34, 14, 4, 13, 29 and 25 minutes respectively. i.e., S, T, R, P, V, U and Q takes 4, 13, 14, 22, 25, 29 and 34 minutes respectively. Only three girls can cross the bridge at a time. Then allow the first 3 slowest girls to cross the bridge. i.e., allow V, U and Q and they take 25, 29, and 34 minutes respectively. And U, Q has 4 and 9 minutes more to reach the other side. Now, allow the next slowest girl P and she takes 22 minutes. Q and P has 5 and 19 minutes more to reach the other side. Now the next slowest girl R is allowed and she takes 14 minutes. R and P respectively has 9 and 13 minutes more to reach the other side. Now, the next slowest girl T is allowed and she takes 13 minutes. T and P separately has 4 minutes more to reach the other side. Finally, the last girl S is allowed to cross and she takes 4 minutes to cross the bridge. Now, T, P and S takes 4 minutes to reach the other side. At the 4th minute (after 43 minutes) all seven girls are in the other side of the bridge. Therefore the required time = 25 + 4 + 5 + 9 + 4 = 47 minutes. Hence the minimum time is 47 minutes. 22. Eight members P, Q, R, S, T, U, V and W can cross a bridge in 3, 13, 21, 17, 5, 9, 1 and 25 minutes respectively. If only two can cross the bridge at a time, then find which of the following group crosses in minimum time? Time taken by P, Q, V and W is 3, 13, 1, 25 minutes respectively. Here, we would allow the two slowest persons Q and W to cross a bridge at a time. Then at 13th minute Q would reach the other side of the bridge. And W has 12 minutes more to cross the bridge. Now allow the third person P to cross the bridge and he takes 3 minutes. In the 3rd minute P would reach the other side of the bridge. And W has 9 more minutes to reach the other side. Now, allow the 4th person V to cross the bridge and he takes 1 minute. Then in the next minute (after the above 3 minutes) V will reach the other side. and W has 8 minutes more and in the next 8th minute W would also reach the other side. Therefore, the minimum time taken by the group a is = 13 + 3 + 1 + 8 = 25 minutes. Therefore, group d takes the minimum time to cross the bridge. Hence the required answer is option d.
23. The straight distance between X and Y is 1000 meters. A taxi starts travelling from X at morning 8 o'clock. There is a taxi for every 30 minutes interval. Each taxi travels at a speed of 25 km/hr. A man travels from Y at a speed of 20 km/hr. If the man starts his journey at 2 pm, find the number of taxi he encounters in his journey. The taxi starts from X at 8 am and travels at a speed of 25km/hr. The man travels from Y at a speed of 20km/hr. Time required to reach X = 5 hours (100/20) and his arrival to X is at 7pm. Now the taxi started at 8 am reaches Y at 12 noon, since the time taken to reach Y is 4hrs. Similarly, taxi starting at 8.30 am would reach Y at 12.30 pm, starting at 9am would reach at 1pm, and so on. At 2 pm, the taxi started at 10 am would have reached Y. By 2 pm, 5 taxi's had arrived to Y. So, remaining(12 - 5) 7 taxi's are on their way to Y and will meet the man along the way. Now, the man starts at 2 pm takes 5 hrs to reach X. Within 5 hours (5 x 2) 10 more taxi's are started, which will also meet the man on his way. so the man would meet (10 + 7) 17 taxis on his way. (i.e., Excluding the taxi's that start at 10 and 7 the answer will be 17. 24. A taxi starts travel from P at morning 8 am to Q which is at a distance of 50 km from P. There is a taxi for every 30 minutes from P and each taxi travels at a speed of 25 km/hr. Two men A and B starts at 2 pm from Q at a speed of 12.5 km/hr and 10 km/hr respectively. During their journey,find the number of taxi's B encounter more than A. A travels from Q at a speed of 12.5km/hr. Similarly, B travels from Q at a speed of 10km/hr. Given that there is a taxi for every 30 minutes. And, B need 1 hour more than A. Within this 1 hour period B encounters 2 more taxi's than A. 25. The distance between two stations A and B is 75 km. A taxi starts from A at morning 7 o'clock. There is a taxi for every 45 minutes interval and each taxi travels at a speed of 25 km/hr. A man travels from B and reaches station A such that 15km at a speed of 15 km/hr and remaining distance by 30 km/hr respectively. If the man starts at 1 pm then find the number of taxi's he encounters during his journey. A taxi starts from A at 7 am and each taxi travels at a speed of 25km/hr. So the actual time of arrival is at 4 pm. Between 7 am to 1 pm, 8 taxi's are started from A. The taxi started at 7 am reaches B at 10 am, since time taken by taxi to reach B is 3 hrs. Similarly, taxi starting at 7.45am would reach B at 10.45 am, starting at 8.30 am would reach at 11.30 am, and so on. By the time 1 pm, the taxi starting at 10 am would gave reached B. In this process a total of 5 taxi's had already arrived to B by 1 pm. So remaining(8 - 5) 3 taxi's are on their way to B and will meet the man along the way. Now the man starting at 1 pm takes 3 hrs to reach A. Within this 3 hours, 4 more taxi's are released which will also meet the man on his way. so the man would meet (3 + 4) 7 taxi's on his way. 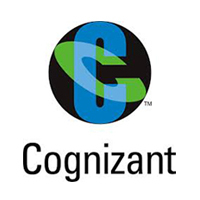 0 on: "Latest Cognizant Fully Solved Placement Test Papers."